Handy Wacks Corporation was organized on the 8th day of July, 1929, and operated out of a facility on the Northwest side of Grand Rapids, Michigan. Daniel W. Atkinson was one of the original stockholders, and Mr. Atkinson proceeded to acquire sole owner ship of the assets of the company in September of 1932 and directed company operations until his death in 1934. Lou A. Keller, the daughter of Daniel Atkinson, joined the company as Office Manager, and assumed ownership of the company, along with her siblings, Pearl (Atkinson) Burtch and Walter Atkinson, upon Daniel's death. Incorporation papers were filed within the State of Michigan in 1935 to reflect the new ownership. Handy Wacks physically moved to Sparta Michigan in 1936. Mrs. Keller's daughter, Irene Anderson, joined the company in 1944, and brought with her considerable skills as a bookkeeper and administrator. Upon the retirement of Mrs. Keller in 1945, Irene Anderson and her husband, Clarence, continued the general operation of the company. Clarence and Irene Anderson commenced buying stock in Handy Wacks from Walter Atkinson & Pearl Burtch. Irene did all of the office & bookkeeping work in the mornings, packaged the product in the afternoons, and after leaving his job as Assistant Postmaster in Sparta, Clarence, or "Andy" as he preferred to be called, went down evenings and ran the machines to make product for the next days shipping. The primary product at this time was a 12" x 13 1/2" wall carton dispenser of waxed paper that was designed to hang from a cupboard door. At that time, only approximately one third of the Handy Wacks product distribution was achieved through wholesale jobbers, with the majority of the product destined for the consumer market, often through mail order or selling to fundraising groups such as the church and the PTA. A newspaper article of 1942 points out the fact that at that particular time in the history of the company ten out of the eleven employees were women. Four of the employees worked in the office to service the mail order business. The Corporation was shipping to virtually every State and advertising nationally. Handy Wacks moved to its present location in the Village of Sparta in 1952, and this coincided with the purchase of the company's first machine to interfold waxed paper so that the sheets "popped up" out of the box for ease of dispensing. This began the company's foray into the Commercial and Institutional Foodservice Industry with disposable food wrap products. Volume began to increase as the company began utilizing more wholesale distributors, and contracted with brokers to assist in selling the product. Key employees, Henry H. Koopman as National Sales Manager and Vernon Lamb as Plant Manager began with the company in the early 1950's. Lou A. Keller resigned as President of the Corporation in 1971, and passed away shortly afterwards. Clarence Anderson succeeded Mrs. Keller as President of Handy Wacks. The daughter of Mr. & Mrs. Anderson, Marcia, joined Handy Wacks in 1962 and soon became involved in all aspects of operation and administration; being elected to the Board of Directors in 1972 and acquiring majority ownership of the company in 1976 from her parents. Incorporation papers were filed within the State of Michigan in 1935 to reflect the new ownerMr. Koopman, after steering the sales function admirably for many years, retired in 1975. Three years later the position of Director of Sales was assumed by Henry B. (Hank) Fairchild III, who subsequently married Marcia in 1979. A substantial period of growth was realized in the early 1980's, facilitated to a great extent by the expertise of a fine network of Brokers and Manufacturers Representatives. In 1983, Mr. Fairchild was offered the position of President of Handy Wacks with Clarence Anderson assuming the responsibilities of Chairman. Upon the untimely deaths of Clarence Anderson in 1984, and Irene Anderson in 1985, the reins of the company have fallen into the hands of Hank and Marcia Fairchild, as President and Chairperson, with Marcia's two sons, Steven and Timothy May, fifth generation, all fulfilling integral roles within the company. Steven and Timothy both became Directors of the Company in 1984 and 1987 respectively. 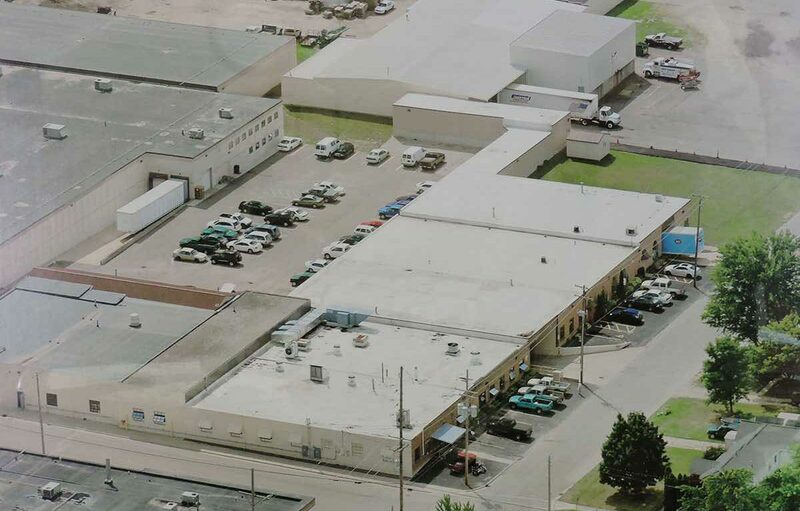 Expansions of the current facility over the last twenty years have resulted in a total of approximately 80,000 square feet. The consistent growth of the company has required a workforce of three shifts of workers a day since 1979. Handy Wacks now assumes the role of being an International marketing entity, with shipping containers going to Europe, and numerous shipments to neighboring countries. The range of products to service the Foodservice Industry has evolved to date into hundreds of sizes and items required by Foodservice operators, and even home makers through purchases at warehouse clubs and cash-and-carry outlets. As of 2008, Handy Wacks Corporation is still a minority company, with a woman, Marcia Fairchild being the majority stockholder. This will change in time with two sons progressing forward and two grandsons, to date, in the wings.